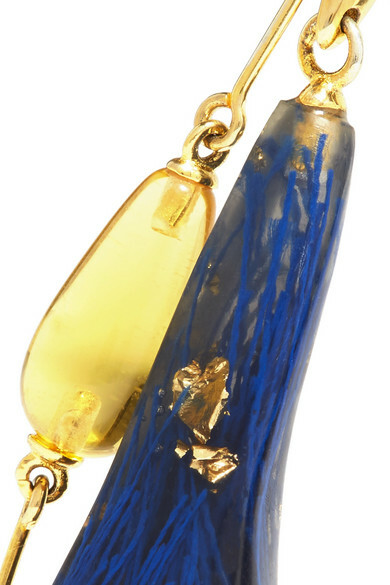 Ejing Zhang says these gold-plated 'Hail' earrings are inspired by rainy days in London. 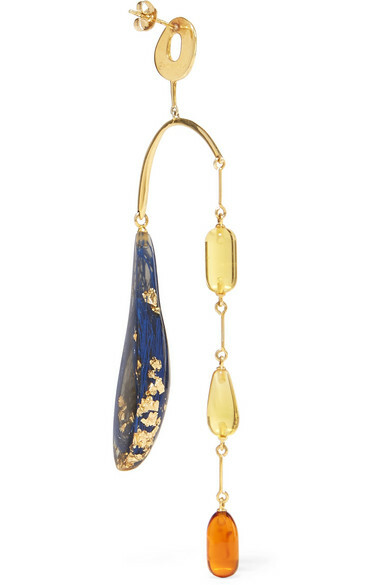 This sculptural set is strung with multicolored resin droplets. Tuck your hair behind your ears to really show them off. 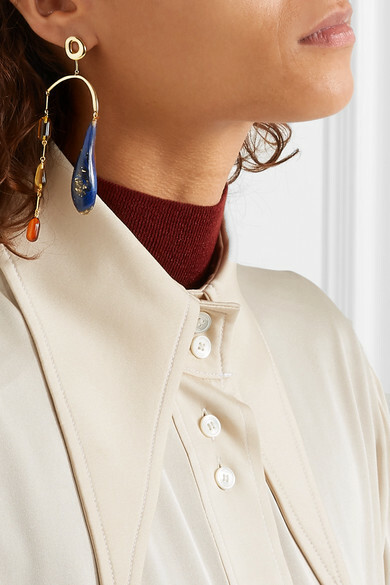 Shown here with: Jacquemus Dress, Ellery Shirt.